This vile, odious, threatening Zzuf, a mutated predatory mold plans to eat her and all the others. Can Rhyonna heal? Will Rhyonna fly again? Will Rhyonna remain the Flying Teacher of the Wee Ones? 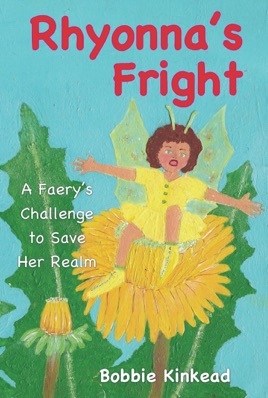 If you like a bit of horror and adventure set in another realm, read how Faery Rhyonna, with the help of her friends, the bonding with an enemy, and the Others, rib the predator Zzuf from their realm.